Dubai Creek Tower, destined to overtake the Burj Khalifa as the world’s tallest man-made structure, is celebrating 1 million man hours without any safety incident. Emaar Properties, the developer behind the iconic project, announced the milestone on its social media accounts. It was widely shared by workers at BESIX, the construction contractor building the concrete raft for the project, which is set to be the centerpiece of the Dubai Creek Harbour masterplan. The pile cap, which began work in September last year, is scheduled to complete in mid-2018. In all, about 50,000 cubic metres of concrete will be used to fully cap the 145 barrettes (piles used in foundation), tested to a world record load of 36,000 tonnes and laid 72 metres deep to firmly secure the super-structure. World-renowned architect and engineer, Santiago Calatrava is leading its design and engineering work. Aurecon was chosen by Calatrava as the engineer/architect-of-record to collaborate on a range of design and technical features for the tower. Emaar has yet to appoint a contractor for the main structure of the tower, which will reach almost a kilometre in height when complete around 2020. The Big 5 brand is a dmg events' franchise of building and construction exhibition shows that stretch across more than five countries. 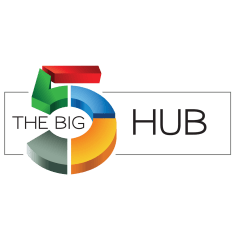 The Big 5 Hub brings together exhibitors and visitors - both old and new - to The Big 5 portfolio of 16 shows, offering information about emerging markets, from legislation to new products, as well as exclusive industry reports to help construction professionals make informed decisions.